Custom Bow Making Class for Moms! 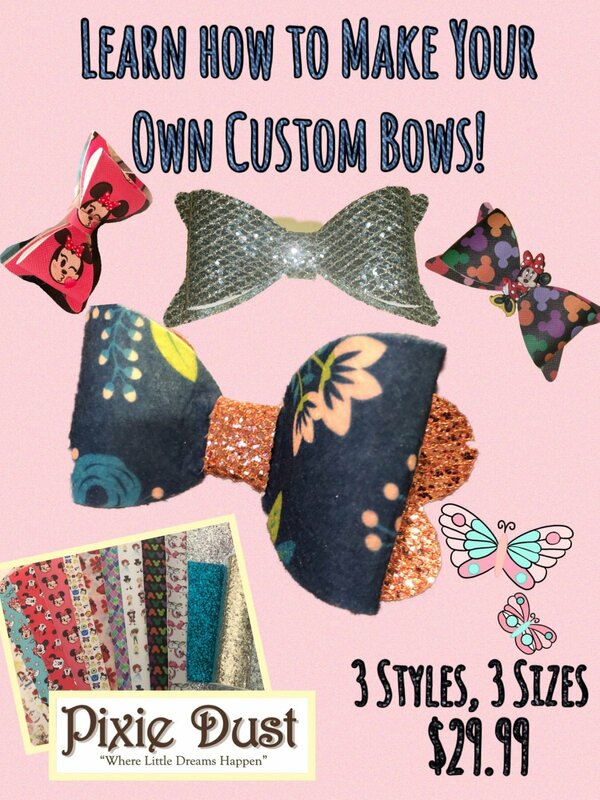 and learn how to make your very own custom bows! Each guest will make 3 different sizes! You will be using canvas, faux leather and felt. add that extra special accent! have numerous hot glue guns out. Snacks and beverages will be available for purchase!